Chikungunya is a foreign term to most people, but it has quickly put itself on the radar after recent outbreaks in Central and South America. Since the outbreak began in December in the Caribbean countries, tens of thousands of individuals have been infected. Signs and symptoms of the Chikungunya virus include the acute onset of a fever, severe joint pain, muscle pain, headaches, nausea, fatigue and rashes. The severe joint pain is really what characterizes the virus though, in most cases it lasts for a few days, however it can persist for weeks and even months in some cases. Chikungunya got its name from the Kimakonde language, meaning “to become contorted”, describing the appearance of infected individuals due to the extreme joint pain. The virus has spread so rapidly because it is a mosquito-borne virus that is transmitted directly to humans through an infected mosquito bite. It has been a problem for decades in Africa and southern Asian countries, but it has recently spread to the America’s and has quickly reached epidemic proportions. The mosquitoes involved in the transmission of the virus are usually found feeding in early morning hours and late afternoon. From the Aedes aegypti and Aedes albopictus (Asian Tiger Mosquito) species of mosquito, after being bit by an infected mosquito the signs of the Chikungunya virus often appear between 2 and 12 days later. Currently there is no vaccine or treatment for the virus, leaving young children and older individuals especially vulnerable. 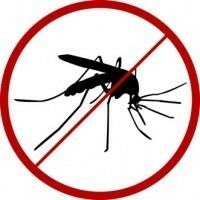 Preventative measures include limiting the mosquitoes ability to reproduce and spread. Limiting the number of artificial and natural water reservoirs that can support the mosquitoes breeding capacity. Spraying vulnerable areas to control the live population of mosquitoes and treating water containers to prevent the larvae from developing. While there is no cure for the Chikungunya virus, treatments are targeted toward relieving symptoms. Antipyretics are often used to help combat the fever associated with the virus, anti-inflammatories are also beneficial for relieving joint and muscle pain. One of the most beneficial ways to combat the virus is to support the immune system. Chikungunya ravages our immune function and leaves the body helpless against further infection and disease. This also inhibits our ability to kill the Chikungunya virus, which is why symptoms can persist for months and even years in rare cases. 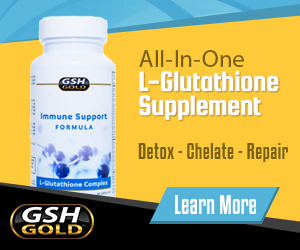 Fortifying the immune system with powerful antioxidants (glutathione) can help minimize and alleviate symptoms while inhibiting the lifespan of the virus. Other measures you can take to avoid the virus altogether include limiting your exposure to the mosquitoes with long sleeved clothing and staying indoors during peak feeding hours. Many news sources are covering the growing Chikungunya epidemic closely. Due to the rapid spread of this virus it is important to understand the best ways to avoid being infected and what you can do to help treat it if you become infected.